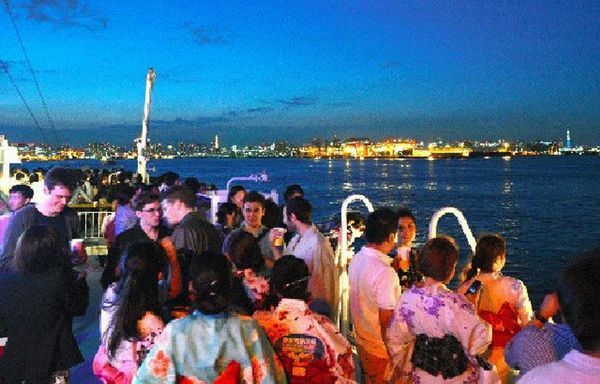 Home > TRAVEL > TOKYO > VARIOUS AREAS > EVENT > Enjoy your cold beer in the best Beer Gardens of Tokyo! In summertime, beer is very popular among the Japanese. Only in summer, some restaurants open special facilities that serve beer. It is normally open air spaces or rooftops. However, these facilities also serve non-alcohol beverages for those who don’t drink beer. So let’s enjoy Japanese summer at its beer gardens! As a metropolitan city, Tokyo is a home for countless beer gardens. Many beer gardens serve their best beers and provide amazing services. Below are the most recommended beer gardens in Tokyo with different environments that you must visit! Located on the rooftop of Mitsubishi Nihonbashi main store, Nihonbashi Beer Garden has been established for eleven summers in a row. With many chairs available and wide space between table, the customers can fully enjoy their beer and the rooftop environment. Located on the rooftop of Daiichi hotel, Kichijoji beer garden provides you with pleasant environment of the tall buildings on a beautiful Tokyo night. Here you can also enjoy some barbecue, while having a beer party. But please, be sure to make a reservation in advance as the places are limited. This one is considered to be the largest beer park in town. Around the beer park, you can find some other great things such as barbecue places, ethnic groups and some food stalls. This one is considered to be the most beautiful beer garden. Located in Luke Restaurant by Sumida river, this place does not only provide you with the best beer and services, but also fabulous views of Tokyo Tower and Skytree. For this excellent place, you’d have to spend a little more. Located at Takeshita Ferry Terminal, a terminal of departures to Izu Islands and Tokyo Bay cruises. Here you can take a ferry that brings you go around the bay while serving you all you can drink beer, wine and cocktails. There is also a yukata dance performed here. If you go there Monday-Thursday with your own yukata, you will most likely get 1000 yen off. ・40 Things to Do in Nakano, Shinjuku’s Stylish Neighbor, in 2018!